A growing B2B marketing agency in Leeds are looking to recruit a hardworking PR Account Manager. Managing a variety of PR accounts the PR Account Manager will be adept at spotting and securing PR opportunities for their clients. ·Increase client exposure and engagement through both digital and traditional media channels. ·Experienced PR professional ideally with self-confidence and hunger for success. ·Client focused and constantly striving to achieve the best results. ·Experience with B2B clients would be beneficial. MET Marketing is acting as an employment agency in relation to this PR Account Management job. 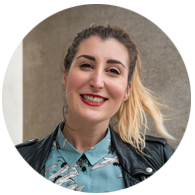 Having graduated with a Media & Communications degree, Lisa went straight into the recruitment industry and has worked in marketing and creative recruitment now for over 10 years. She spent a number of years working with client-side businesses before finding her true calling within the agency market. Her down to earth, honest, ethical and genuine approach is a welcome change for many of her clients and candidates alike. A self confessed fitness addict Lisa loves to keep fit and if not in the gym she'll be chasing her little boy around the park. "the ideal recruiter... works around your own busy schedules and understands how best to communicate with you. I will continue to work with and would recommend her and the team at MET to anyone looking to recruit"
"extremely helpful in finding my new role, he took the time to understand what I was looking for and how best to go about it. He was happy to offer genuinely helpful advice and went out of his way to help wherever he could. I wouldn't hesitate to recommend"